We were delighted to see that our customer, Prof. Hongmei Su at Beijing Normal University, had a research paper featured in a recent publication in JACS.1. One of the lines of Prof. Su’s work is the photochemistry of DNA and RNA damage. DNA damage can be caused by reactive species such as radicals or by radiation, and is related to cancer and degenerative diseases. Understanding the mechanisms of damage is the first step towards prevention. 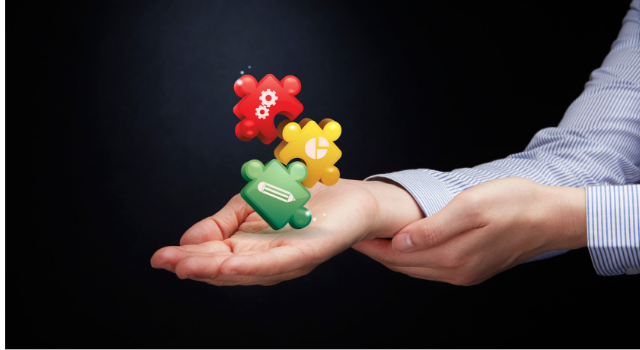 Read our latest customer highlight and download Prof. Su’s research paper. 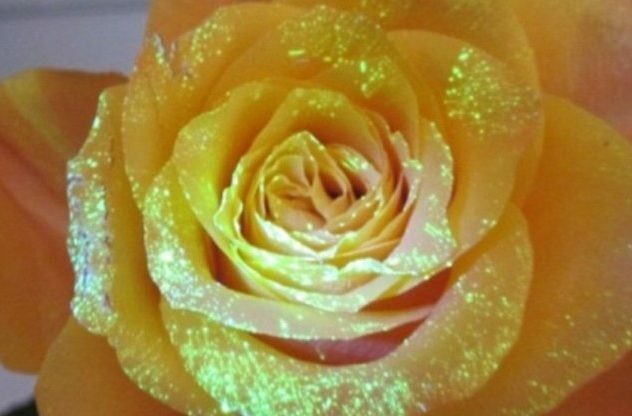 Competition Time: Australian scientists have given this popular flower a fluorescent flair with a magical spritz. Win a bag bursting with Edinburgh Instruments goodies in this month’s easy to enter competition. With perovskite being such a hot topic at the moment Halide perovskite photovoltaic cells have attracted tremendous attention due to the rapid rise in solar cell efficiencies, and their potential for providing high-efficiency low-cost solar power. 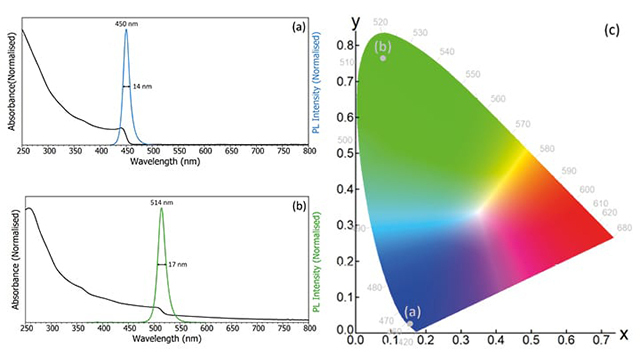 In this blog post we highlight our recent application notes which focus on perovskites and their reactions to various photoluminescence spectroscopy measurements. Take a look at some of the research papers from February that have been published by customers using our fluorescence spectrometers. 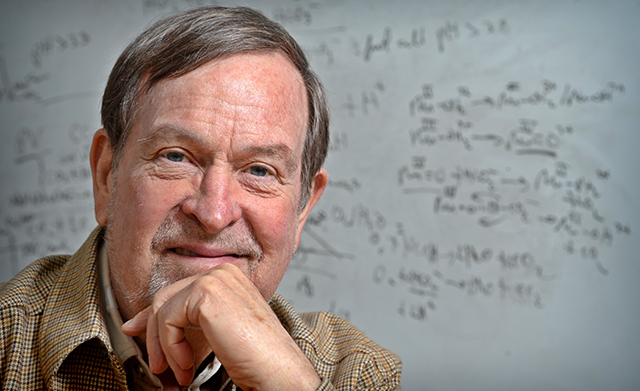 We were delighted to catch up with Arey Professor of Chemistry, from the University of North Carolina at Chapel Hill, Professor Thomas J. Meyer and talk to him about the work he is doing, and how our spectrometers are helping him with this research. Cryostats and other temperature control solutions allow you to control experimental conditions for precise sample measurements.Edinburgh Instruments, Ltd., utilizes multiple types of sample holders for temperatures as low as 4 K and up to 600 °C, the broadest range available on the market today. 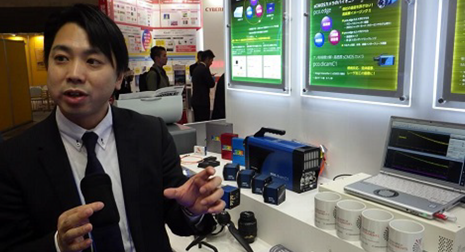 Tech Eyes Online, a Japanese online portal focusing on measurement instrumentation, recently caught up with our Japanese distributor at the 18th Light & Laser Technology Exhibition in Tokyo. Find out what he had to say about the company and our instruments. What is a Jablonski Diagram (Perrin-Jablonski Diagram)? 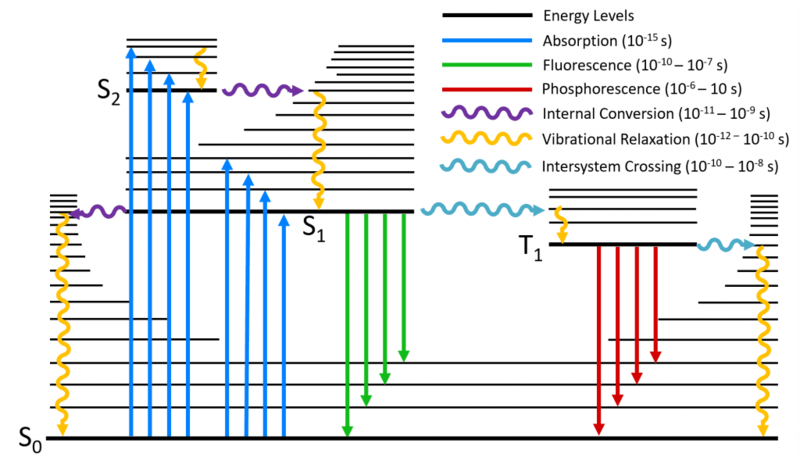 The Jablonski Diagram is widely used in fluorescence spectroscopy to illustrate the excited states of a molecule and the radiative and non-radiative transitions that can occur between them.